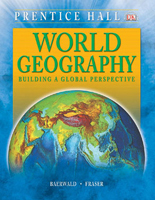 Keeping geography relevant and up-to-date through country-by-country coverage and online updates, this standards-based program helps students understand how geography affects their lives. 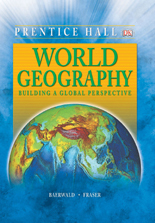 The text's strong maps and visuals present key concepts in human and physical geography, while step-by-step skills instruction prepares students for success on assessment. An award-winning video collection helps students develop mental maps of their world through maps, animation, live footage, and case studies.